Location: Meet at the municipal parking lot in Stevens Point at the corner of Water Street and Crosby Avenue, just north of Chase Bank near Pfiffner Park to car pool. Central Wisconsin’s Mead Wildlife area is an outstanding wetland and wild land resource. As April transitions into May it is a great place to experience the flow of avian spring migrants. 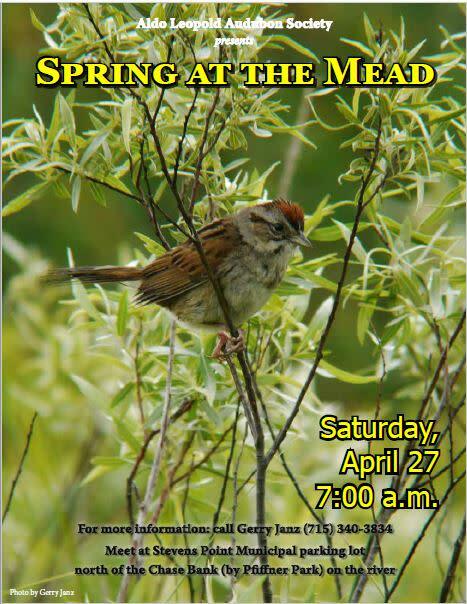 Many birds will be arriving to nest in the Mead and call it home until fall. Others will be passing through on their way to points farther north. 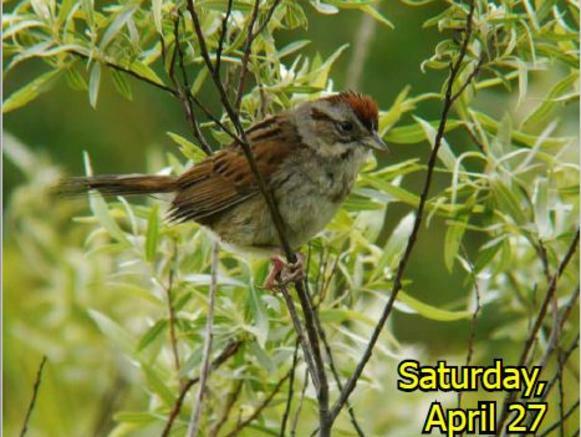 Join us as we explore some of the diverse habitats and birds of the Mead Wildlife Area in late April. We’ll meet at the municipal parking lot in Stevens Point at the corner of Water Street and Crosby Avenue, just north of Chase Bank near Pfiffner Park to car pool and get organized. The trip will entail some gentle hikes as well as several stops to scan the marsh. For more information call or text Gerry Janz at 715-340-3834. This event is FREE and Open to the Public. No registration required. 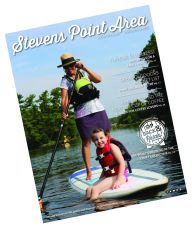 Meet at the municipal parking lot in Stevens Point at the corner of Water Street and Crosby Avenue, just north of Chase Bank near Pfiffner Park to car pool. Get your free Visitors Guide and Travel Planner today! Order your copy today!